What Will the New Fed Chair Mean for Gold? Jerome Powell looks set to become the new Fed chair in February. Who is he, and what can investors expect for the US economy and the price of gold? Throughout 2017, many gold market watchers were curious to see whether Janet Yellen would retain her position as chair of the US Federal Reserve. After much speculation, US President Donald Trump opted to nominate a new Fed chair, suggesting Jerome Powell for the post on November 2. Others were also in the running, including Gary Cohn, but Powell ultimately came out on top. But who is Powell, and why did he get selected? Unlike most previous Fed chairs, he is not an economist; instead, he is a lawyer by training and has a background in investment banking. He’s also a longtime Republican and has served on the Fed’s Board of Governors since 2012; according to the Wall Street Journal, he’s the richest member of that board. What else should investors know about Powell? And what impact may he have on the gold market and the gold price? Read on to find out before Yellen’s term as Fed chair expires at the beginning of February. New Fed chair: What is Powell’s approach? Powerll is known as a monetary dove, although only mildly. He’s been described as taking a middle line between Democrats and Republicans on regulation. He doesn’t favor increasing regulation as Democrats have pushed for, but at the same time he hasn’t rolled back regulations as Republicans would have him do. In other words, he holds a fairly balanced position. New Fed chair: What will happen to gold? Powell has pledged to continue the interest rate hikes that Yellen started. However, that will be conditional upon the economy continuing in good standing. This is where Powell’s connection to gold comes in — while the yellow metal tends to fare better when rates are low, it often struggles when rates increase. That’s largely because investors want to move toward interest-bearing assets. As mentioned, the Fed raised rates three times last year. 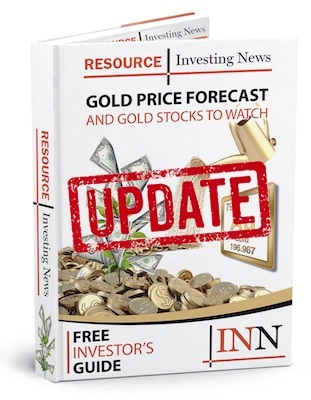 But in an unusual turn of events — perhaps due to the slow pace of the increases, plus other geopolitical factors — the gold price rose. Will it continue to do so if Powell keeps raising rates? It’s difficult to say. Any changes to the Fed’s current policy could potentially impact gold. It seems the best investors can hope for is that Powell keeps his promise of following Yellen’s lead and continues to increase rates at a gradual pace. It’s also worth noting that Powell has been described as Wall Street’s choice in that he has disclosed that he would like to modify or weaken the Volcker Rule. The Volcker Rule was enacted by former Fed chair Paul Volcker to stop banks from proprietary trading, which is potentially harmful to bank customers. Many banks have been pushing for a change to this rule since it was passed. If the Volcker Rule does get modified under Powell, and banks are able take greater risks like they did in the 2000s, we may see greater volatility in the markets — that could result in the gold price going up. Powell has been nominated as new Fed chair by Trump, but he hasn’t secured the position just yet. Although only a couple of weeks remain until Yellen’s term ends on February 3, Powell still has to receive approval from the Senate. The government body has been “slow” to approve Trump’s choice, and while he is expected to get the go ahead his appointment is not yet a sure thing. Assuming Powell does take up the position, it will be important for investors to watch what company he finds himself in. The Federal Open Market Committee has 11 members in addition to the Fed chair — the seven members of the Fed’s Board of Governors, plus four regional Fed presidents — and Powell will have to work with them. And interestingly, he will be taking the helm at a time when three of the committee’s most influential board members are stepping down. If new faces result in volatility, it’s possible investors will see economic problems and a higher gold price. Of course, few want to see a market crash or a recession. As veteran investor Rick Rule has said, owning gold is like “catastrophe insurance, you don’t really want the price to go up.” Depending on one’s moral compass, perhaps the best-case scenario for gold investors under Powell would be for a few wobbles in the market to give gold a boost, but not so many as to topple the financial industry. This is an updated version of an article originally published by the Investing News Network in July 2017.